Use Employer Services to easily post your job. Delight candidates with your employer brand. Get a full suite of tools for all your hiring needs. Killam Apartment REIT (TSX:KMP.UN), is a growth-oriented real estate investment trust which owns, manages and develops multi-family residential properties in Atlantic Canada, Ontario and Alberta. Killam is focused on maximizing its value and long-term profitability through increasing earnings, expanding the portfolio through acquisitions and developing high-quality properties in its core markets. We currently have an opportunity available on our team for a customer focused, energetic live-in Building Superintendent. If you enjoy interaction with customers and are competent in doing light maintenance and cleaning duties this may be the role for you! Application: Please fill out our online application form https://bit.ly/2tLjQEE. We thank you for your interest in our company. All qualified applicants will be considered; however, only those chosen for an interview will be contacted. Please no phone calls. See more of what Killam Apartment REIT has to offer. 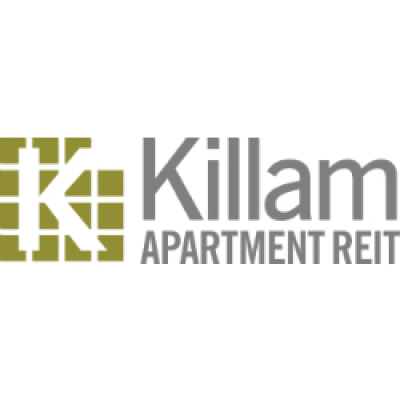 Killam Apartment REIT based in Halifax, Nova Scotia is one of Canada's largest residential landlords, owning, operating, managing and developing a portfolio of apartments and manufactured home community properties valued at over $2 billion. At Killam, we strive to have a team of caring staff who deliver clean, safe, affordable housing to tenants that are proud to call our properties home. We are committed to our employees, providing competitive wages, a comprehensive group benefits plan, a scholarship program for employee's dependents, rental discounts, and the opportunity to be an owner of Killam, through a unit purchase plan. We are committed to hiring team members who identify with our Core Values. If these values resonate with you, a career with Killam may be just what you are looking for. Don't see the right career for you? Click here to apply for future opportunities. © 2019 CareerBeacon. All rights reserved.